It’s easy to get insulation wrong. It's either the wrong type of insulation for the application, the wrong installation technique, or the insulation products didn’t accomplish as advertised and so on. Beverly Hills Insulation Express is an insulation and energy expert in Beverly Hills, CA. We know pretty well everything to do with insulation. 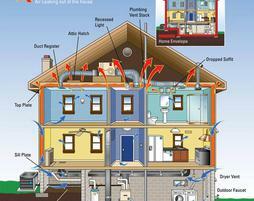 With some simple insulation upgrades around your house or office you can live and work more contently. The type of home, its building materials and its age along with weather conditions will all be taken into account when it comes to insulating your home. Beverly Hills homeowners, commercial space owners and general contractors can all benefit from insulation. Our experts have years of experience and can advise on the appropriate amount and type of insulation for your or building project and help you save money.